1. & 2. Access is available both from Louisiana North of Franklin and Travis North of Commerce. 3. 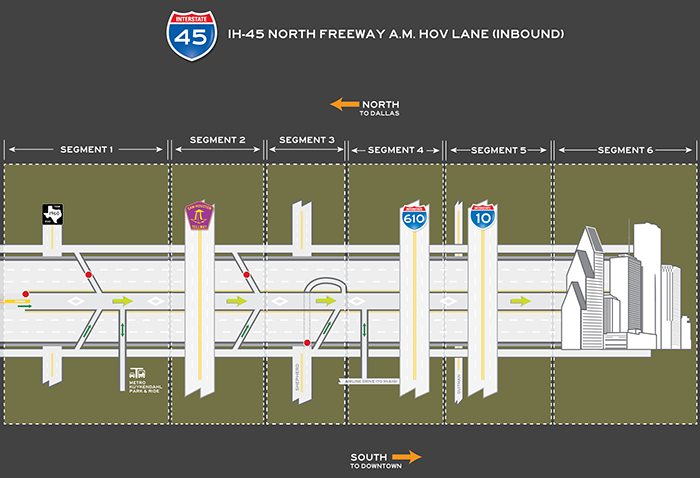 Access is provided from IH-10 Eastbound Freeway direct connector ramp to I-45 North Freeway Via Slip Ramp. 4. Access from Quitman West of I-45 North Freeway overpass. 5. Access from Airline Dr. South of Crosstimbers. 6. 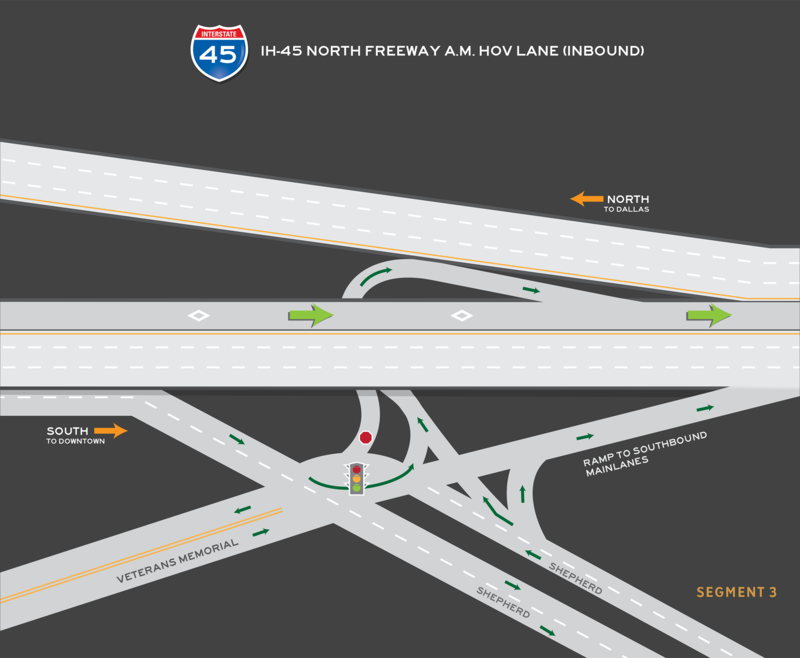 Access from intersection of N. Shepherd & Veterans Memorial under I-45 overpass. 7. 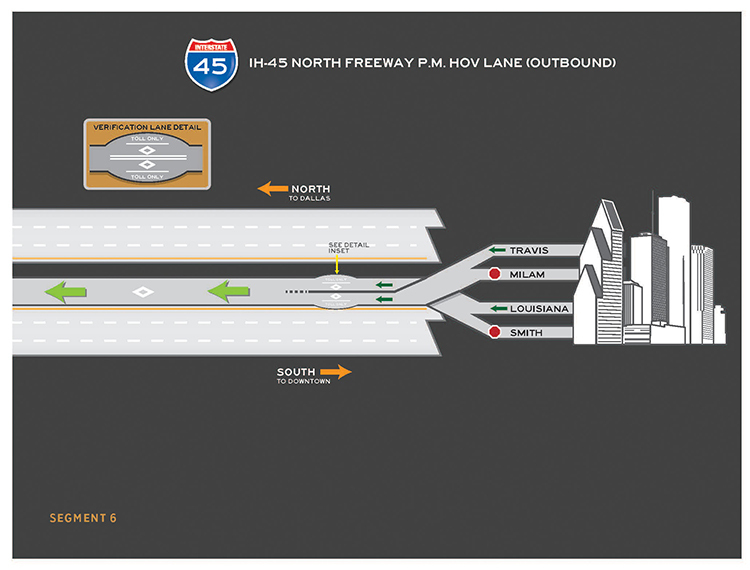 Access from I-45 Southbound Frontage Rd. South of W. Gulf Bank. 8. Access from Southbound Frontage Rd. South of Aldine Bender via Wishbone Ramp. 9. 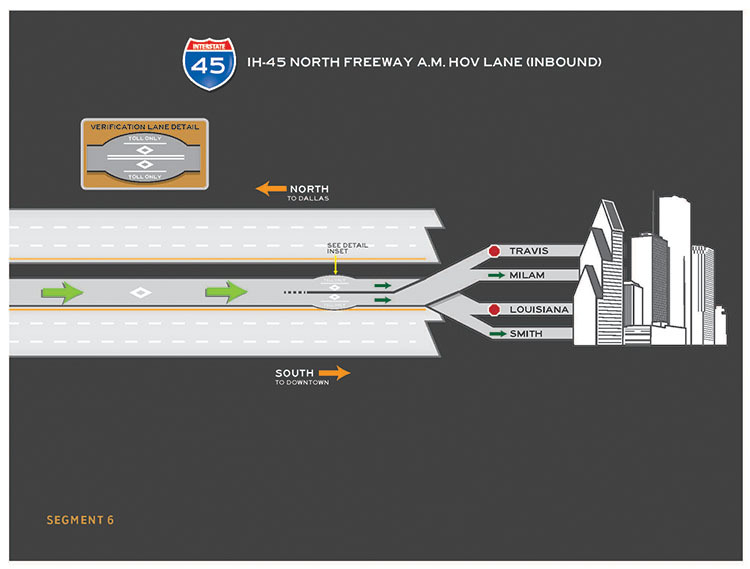 Access is available both from I-45 Southbound Frontage Rd. South of Airtex and Kuykendahl between Ella Blvd. & W. Rankin Rd. through Kuykendahl Park & Ride. 10. Access from I-45 Southbound Frontage Rd. South of F.M. 1960 via Wishbone Ramp. 11. 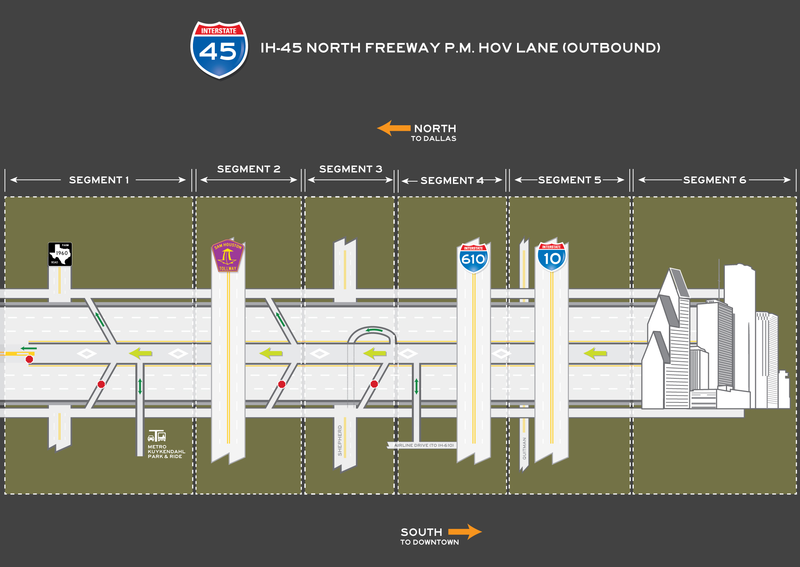 Access from I-45 Southbound main lanes South of Cypresswood via Slip Ramp. METRO HOT (Express) Lanes operate on a revised HOV Lane schedule to allow vehicles additional time for simplified commutes.